Jackson to Jackson on 155 and today, we are tour New Madrid Missouri! New Madrid, Mo, best known for the New Madrid fault line, while that is no tourist attraction it plays a lot into New Madrid’s history. Earthquakes are measured almost weekly around New Madrid, nothing major, but still an interesting fact to know. To follow the New Madrid Quakes visit their website and you can also learn more history about New Madrid’s Quakes. New Madrid, much like many Southern Missouri towns is full of history. Historical Homes, Civil War History, and much Southern Culture is to be found around New Madrid. Hart-Stepp House Art Gallery – The oldest house in New Madrid, relocated to it’s present location is now the Hart-Stepp House Art Gallery. A variety of art is on display inside the art gallery, and you will find different themes throughout the year. The Hart-Stepp Art Gallery is located at 711 Waters Street in New Madrid, Mo, and open every Saturday from 9 am to 4 pm excluding holidays. Hunter-Dawson Home State Historic Site- Ironically as many times as I have passed by Hunter-Dawson I have yet to visit! This is so unlike me, because we all know that I love Southern Homes and dream of having a mansion! 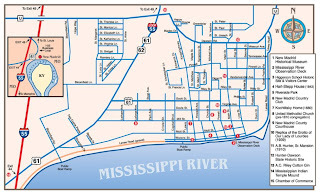 Scenic River View of the Mississippi River-Take a walk along the Mississippi River, grab your picnic basket and surprise your family with a cool pit stop, or take that sweetie out for a romantic walk along the river! 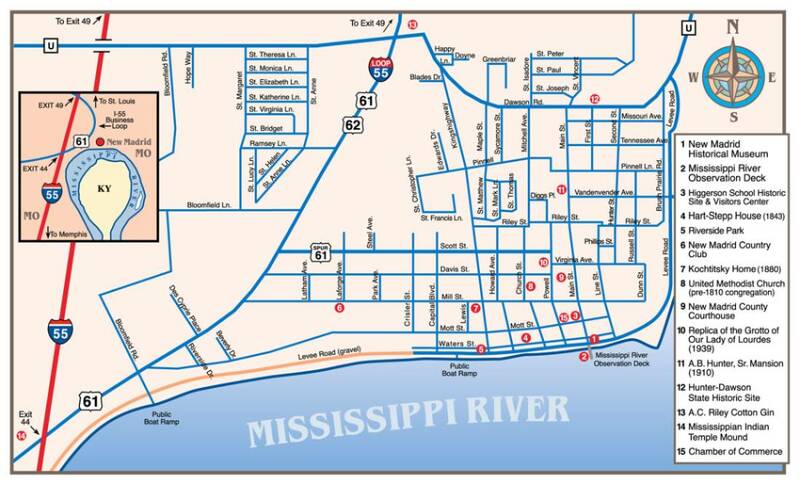 Only three minutes off of I-55 New Madrid’s Riverside Park gives you a panoramic view of the Mississippi River. The Riverside Park is open daily , all hours of the day, and is handicap accessible. For Great Dining locations visit New Madrid’s TourismWebsite. Our family(with 3 teens 14,17 and 20) had a lovely, informative and enjoyable tour with www.privatetoursinistanbul.com He was so knowledgeable(former art history professor) and really brought the art to life for our family. His special anecdotes and information made the enormity of the museum manageable, plus provided an excellent introduction to Spanish history.Afterwards, we had a stroll through some of the older neighborhoods and ended up in a typical local resteraunt for lunch. Later in our trip, when we went through the Picasso museum in Barcelona, my children were very interested in Picasso's interpretation of Velasquez's works-thanks to all they learned from Mr Satt. That is a great success to me!